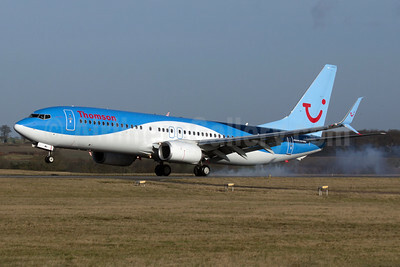 (formerly Britannia Airways and Thomsonfly) (BY/TOM) (London-Luton and Manchester) 2008 - 2017 (became TUI Airways UK). Photos. Framable Color Prints and Posters. Digital Sharp Images. Aviation Gifts. Slide Shows. 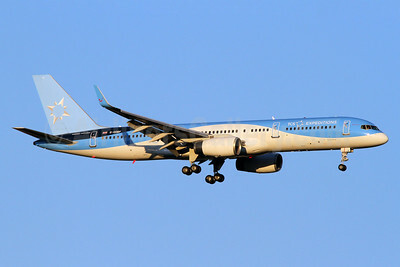 TCS and Starquest Expeditions-Thomson Airways Boeing 757-28A WL G-OOBE (msn 33100) LAX (James Helbock). Image: 909452. 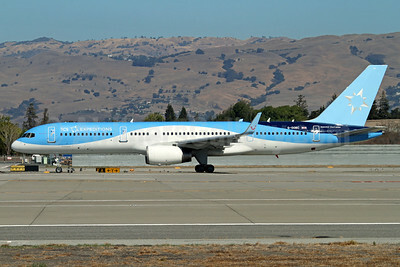 TCS Expeditions (Thomson Airways) Boeing 757-28A WL G-OOBC (msn 33098) SJC (Mark Durbin). Image: 924898. 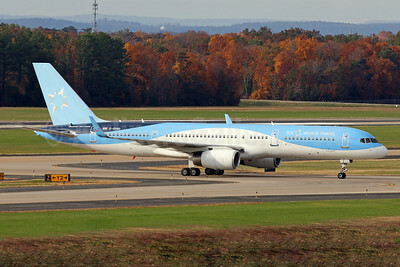 TCS Expeditions (Thomson Airways) Boeing 757-28A WL G-OOBF (msn 33101) IAD (Brian McDonough). Image: 924826. 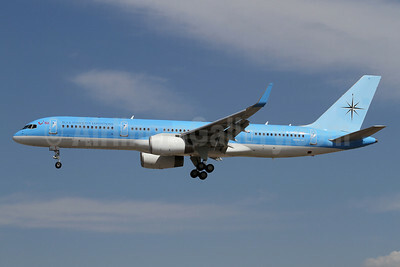 TCS World Travel-Thomson Airways Boeing 757-28A WL G-OOBD (msn 33099) IAD (Brian McDonough). Image: 929889. 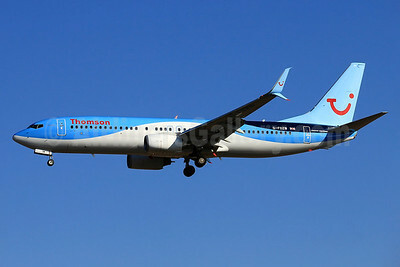 Thomson Airways (Sunwing Airlines) Boeing 737-8K5 WL C-FLZR (msn 35145) YYZ (TMK Photography). Image: 923270. 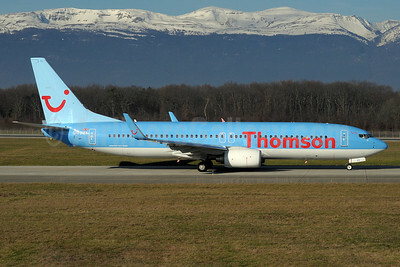 Thomson Airways Boeing 737-8K5 SSWL G-FDZA (msn 35134) GVA (Paul Denton). Image: 934306. 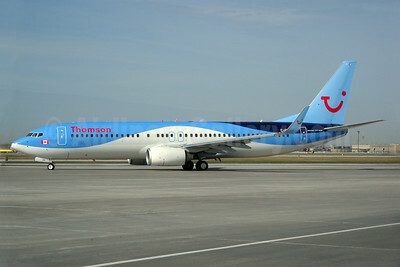 Thomson Airways Boeing 737-8K5 SSWL G-FDZB (msn 35131) TFS (Paul Bannwarth). Image: 932558. 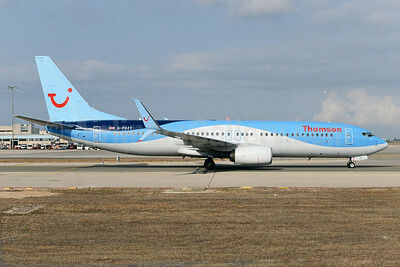 Thomson Airways Boeing 737-8K5 SSWL G-FDZF (msn 35138) PMI (Ton Jochems). Image: 934061. 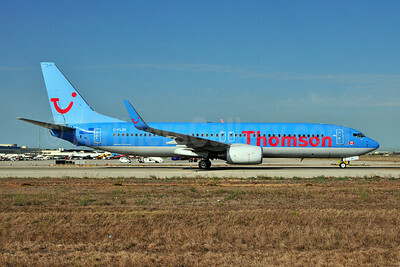 Thomson Airways Boeing 737-8K5 SSWL G-FDZW (msn 37254) PMI (Eurospot). Image: 932559. 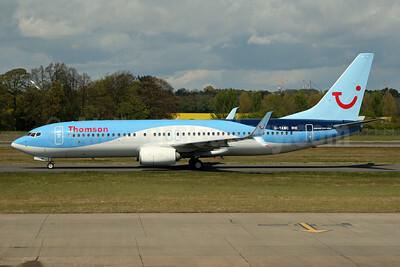 Thomson Airways Boeing 737-8K5 SSWL G-FDZW (msn 37254) TFS (Paul Bannwarth). Image: 927490. 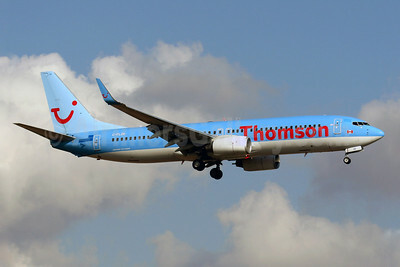 Thomson Airways Boeing 737-8K5 SSWL G-FDZY (msn 37261) (Split Scimitar Winglets) PMI (Ton Jochems). Image: 923269. 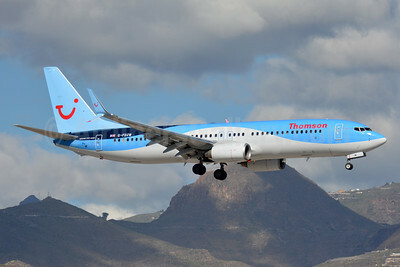 Thomson Airways Boeing 737-8K5 SSWL G-TAWA (msn 37264) LTN (Paul Ferry). Image: 928932. Thomson Airways Boeing 737-8K5 SSWL G-TAWC (msn 39922) EDI (SPA). Image: 932560. 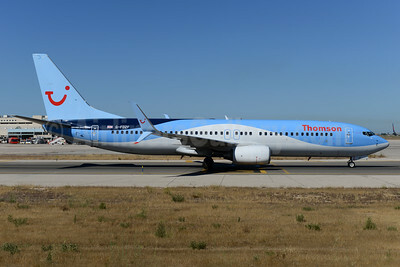 Thomson Airways Boeing 737-8K5 SSWL G-TAWF (msn 37244) TFS (Paul Bannwarth). Image: 926993. Thomson Airways Boeing 737-8K5 SSWL G-TAWI (msn 37267) GVA (Paul Denton). Image: 934309. 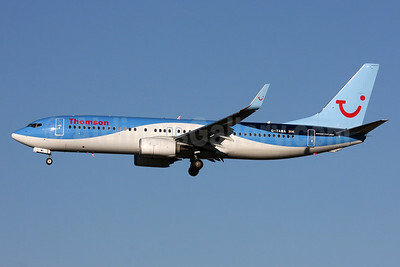 Thomson Airways Boeing 737-8K5 SSWL G-TAWS (msn 37241) TFS (Paul Bannwarth). Image: 927001. 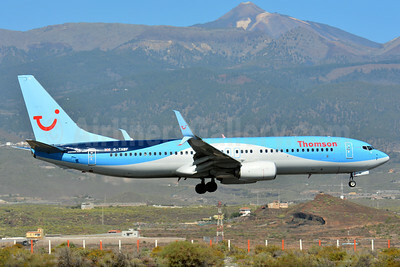 Thomson Airways Boeing 737-8K5 WL C-FLZR (msn 35145) PMI (Javier Rodriguez). Image: 907282. 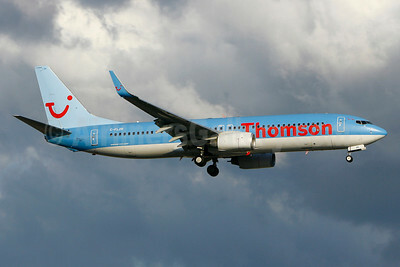 Thomson Airways Boeing 737-8K5 WL C-FLZR (msn 35145) PMI (Ton Jochems). Image: 907058. 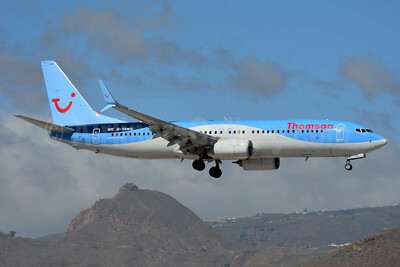 Thomson Airways Boeing 737-8K5 WL C-FLZR (msn 35145) YUL (Gilbert Hechema). Image: 910268. 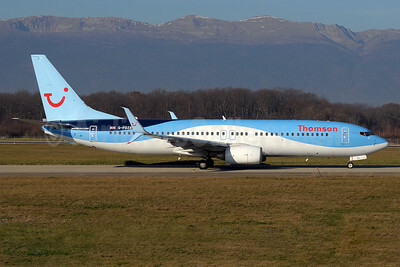 Thomson Airways Boeing 737-8K5 WL G-FDZU (msn 37253) GVA (Paul Denton). Image: 911034. 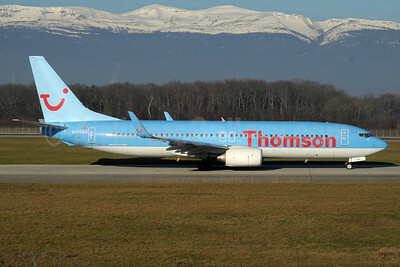 Thomson Airways Boeing 737-8K5 WL G-FDZX (msn 37258) GVA (Paul Denton). Image: 911035. 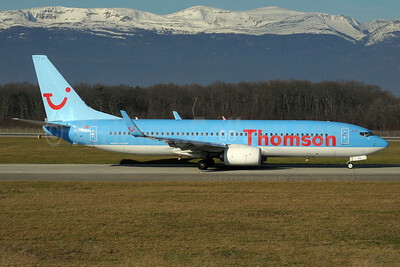 Thomson Airways Boeing 737-8K5 WL G-FDZZ (msn 37262) GVA (Paul Denton). Image: 911036. 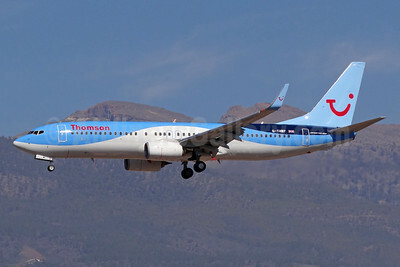 Thomson Airways Boeing 737-8K5 WL G-TAWA (msn 37264) LGW (SPA). Image: 927562. 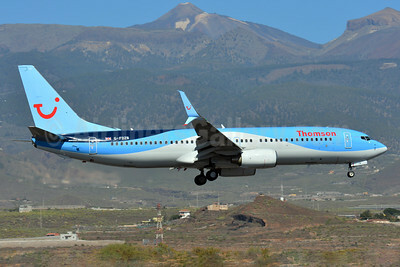 Thomson Airways Boeing 737-8K5 WL G-TAWF (msn 37244) TFS (Paul Bannwarth). Image: 922387.